This is a style guide for phpList documentation. It will help us (the documentation team) keep some key elements of our writing consistent – which will make it more readable. 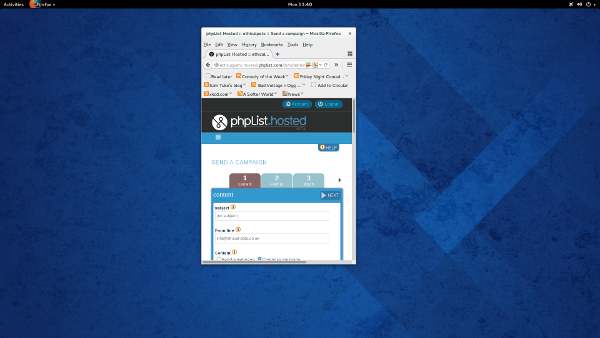 phpList is always capitalised with a small php, a capital L and small ist: phpList. 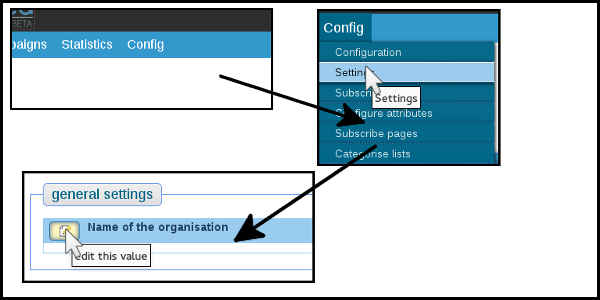 When quoting words from within the phpList software, for example the name of a page, tab or menu-item, capitalization and spelling should be kept exactly as it appears in the software. Also bold the words that are quoted. Screenshots should be no more than 600 pix wide. We need to show the minimum amount of “white space” (or grey space) and the maximum amount of detail. This usually means you need to re-size the browser window before taking the screenshot. it is very hard for the reader to see any details in the image, even with the important area highlighted in red. In this screenshot the reader can see all the details they need and so it’s easier to understand the authors instructions. These images look identical to most of us. But to a search engine (and to those using software to help with various disabilities, such as blindness) they look totally different. This file name (ending .png) was generated by my computer and WordPress has used it as the alt text automatically (but on other software the alt text might simply be blank). This is a file name I chose with care, and alt text which provides a little more detail. 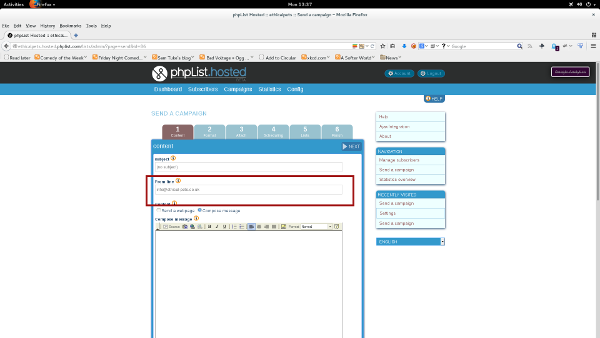 This second example means that users searching for something like “how do I choose which list to send my email to in phpList” are more likely to be shown to our documentation. 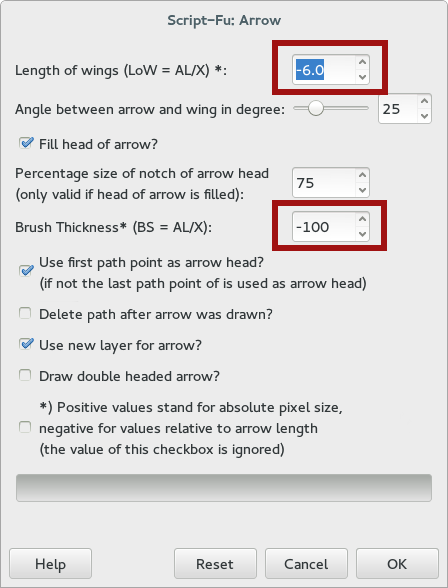 then choose the Stroke line option in the dialogue and set the Line width to 6.0 px. 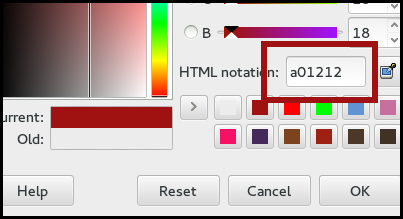 A similar method can be used to highlight a button or area within a screenshot. First set your foreground colour as a01212, then select the area of importance using the select tool.